Cost is $65. Lunch is included on Tuesday and Wednesday. 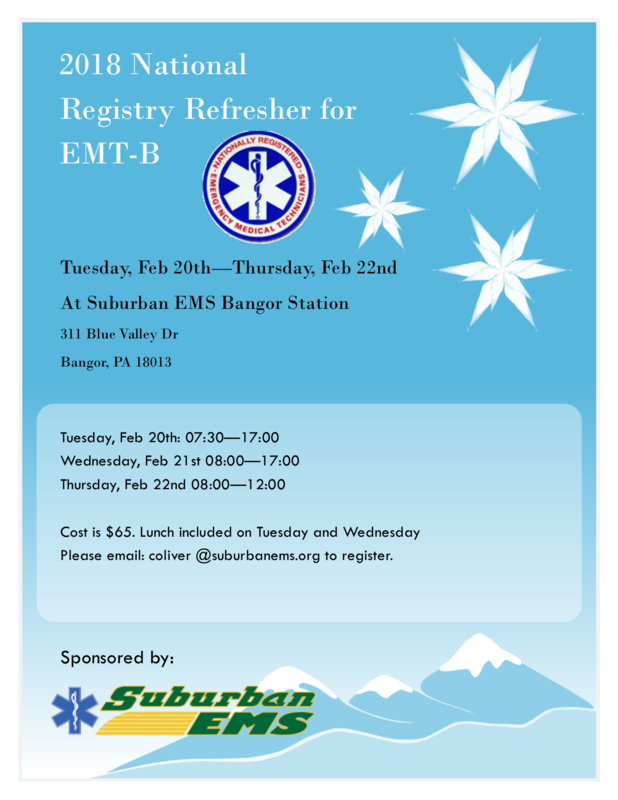 Please contact coliver@suburbanems.org to register.